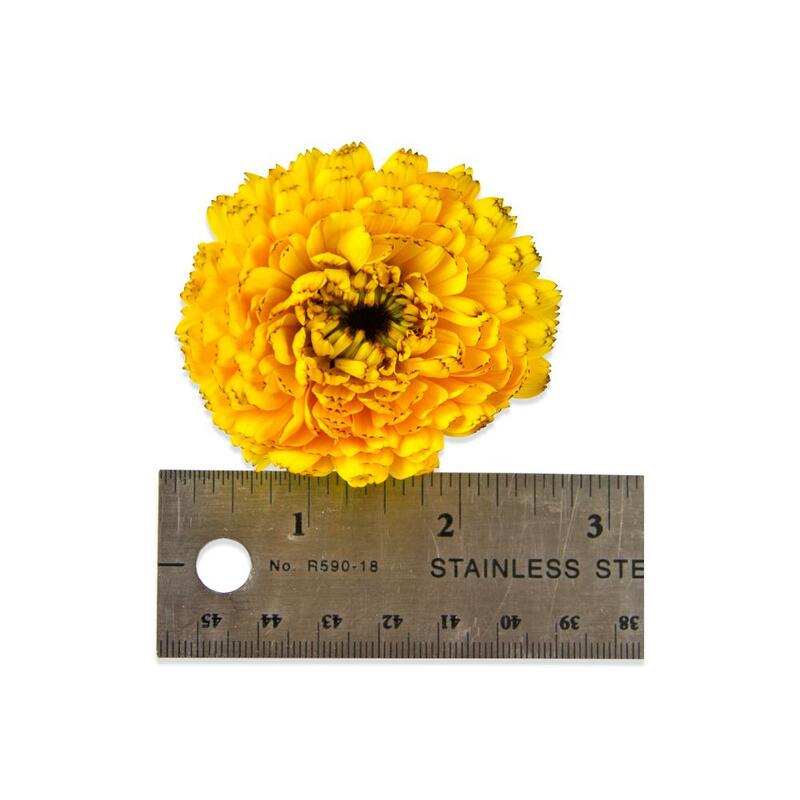 Calendulas (aka Pot Marigolds) are bright edible flowers with a multitude of small petals. They have a minty, floral, grassy flavor. They can be used as a garnish whole (and float well in liquids), or their petals can be torn off for use as an ingredient (sprinkled into salads or on foods, mixed into butter, etc). 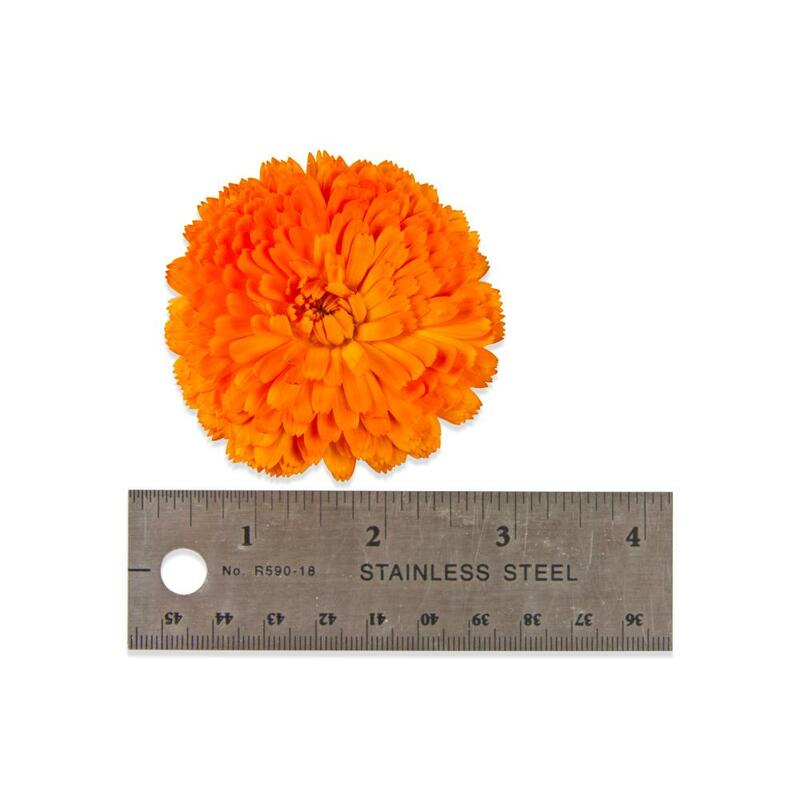 Calendulas can be around 3” by 2 ½” in size, but tend to vary. 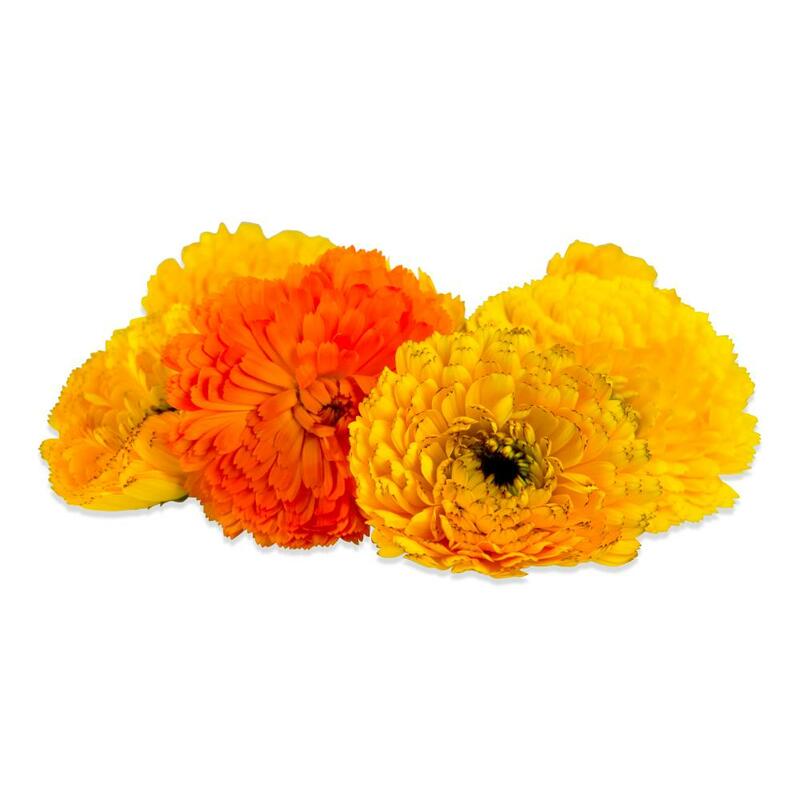 These calendulas are sold as a mixed-color blend. The colors in the blend vary with availability but can include shades of yellow and orange. 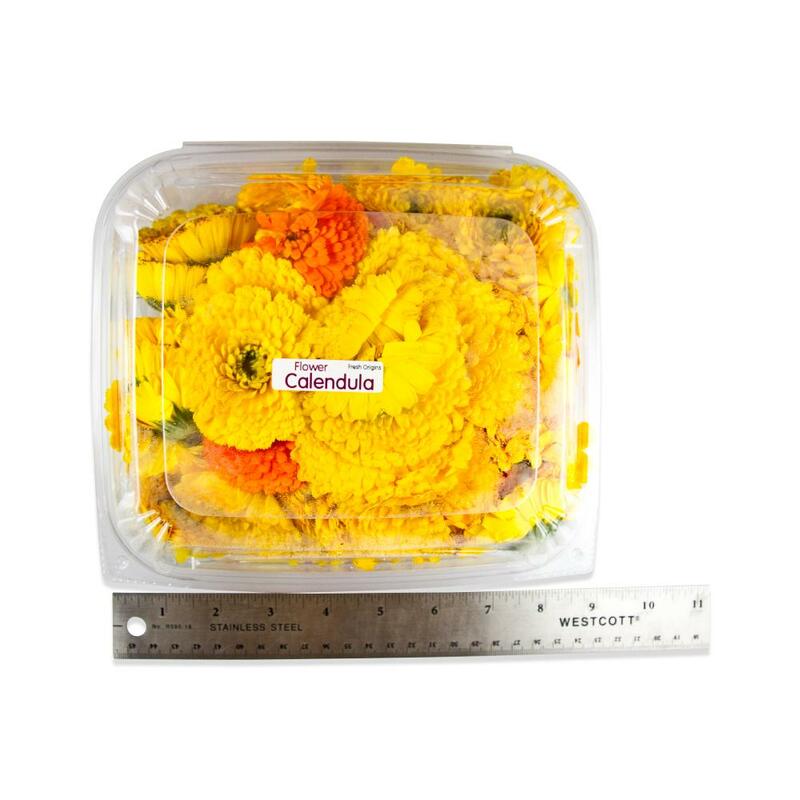 Store calendulas in their plastic clamshells in your refrigerator. Whole calendulas can be used as a large garnish for banquets, and plates, and will float in liquids, but are a little dense to be served to be eaten. We recommend tearing/cutting off the petals and using them instead if you intend the flower to be eaten. Calendula petals are good tossed in salads, used to finish soups, or mixed with softened butter to make colorful compound butters.